Today, claiming a first ascent means synchronising several key ingredients. Firstly discernible geographical knowledge. Unclimbed mountains aren’t readily available in the nearest national park. A mountain with zero footfall means severe risk, a mountaineering ban or extreme isolation, so positioning yourself to attempt the ascent in the first place is likely a big enough challenge in itself. Secondly, there’s no set route, no information to hand. This is uncharted territory after all. So you’ll need a solid base of technical ability, a trust in your instincts and a cool head. Thirdly, they say an individual is only as strong as the weakest member of their team, so confidence in that person attached to the other end of the rope is paramount in the unknown. In 2018, we identified a region full of first ascent potential. 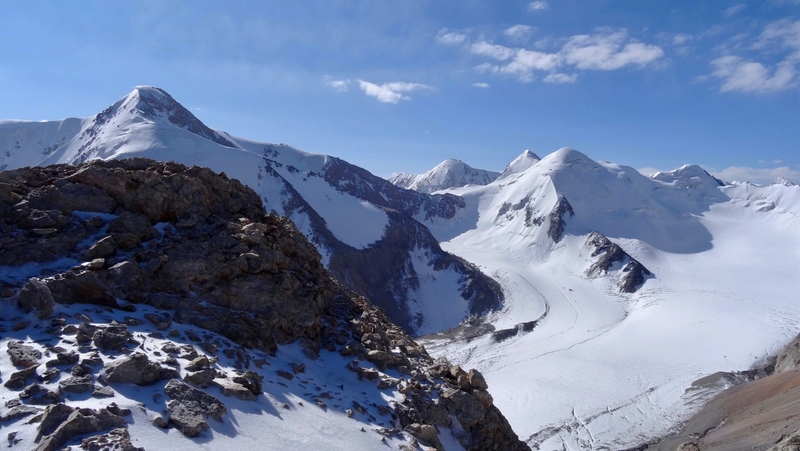 A select group of peaks within Kyrgyzstan’s Inner Tien Shan. 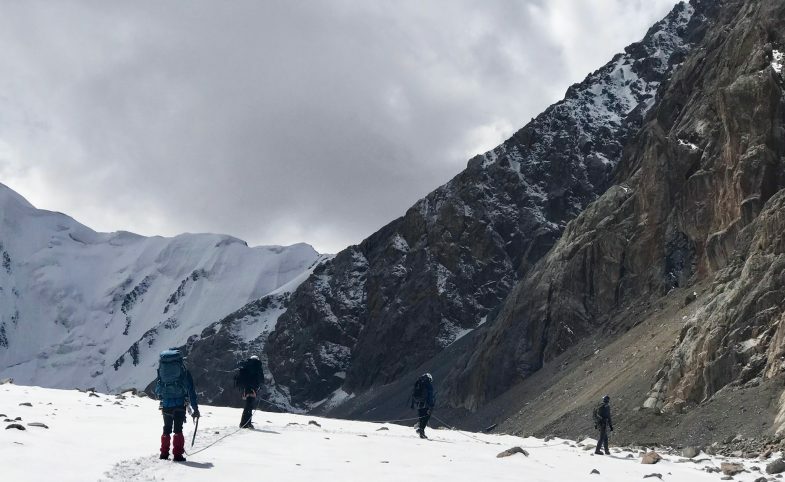 So with a team of five, plus a Secret Compass leader, a local mountaineering expert and a small team of porters, we ventured into the mountains to the east of the country, where snowcapped peaks reach across the Chinese border. 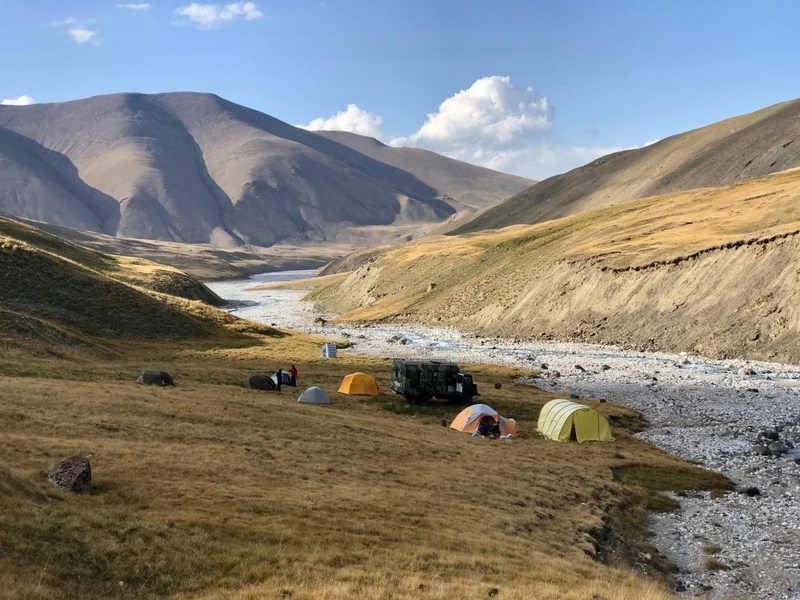 Getting around the Kyrgyz wilderness – a sparsely developed country in which about 95% of its territory is mountains and almost half above 3000m – is about as complicated as it sounds. Unless of course you have a 6×6 ex-Soviet truck to hand. Which our team did. 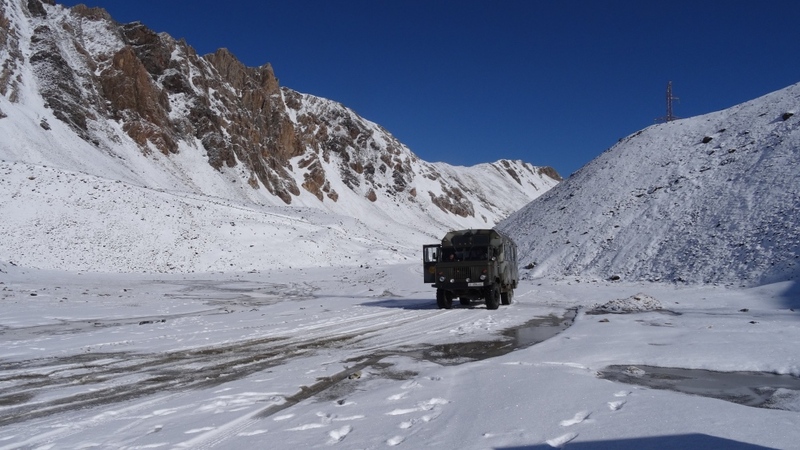 So having arrived in Bishkek the previous night, the team drove cross-country about eight hours, over high snowy passes and through deep shady valleys into the depths of the Tien Shan. Here, they boarded a GAZ 66 (pictured above) in which they made their way up a river bed to what they’d establish as basecamp for the following week. Basecamp established, the team got their first night’s rest in the wilderness. 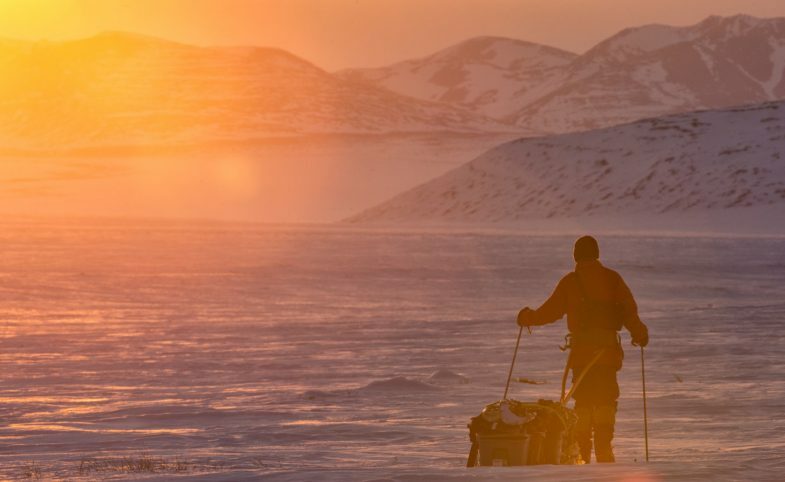 The following day, their acclimatisation and initial exploration of the region would begin. 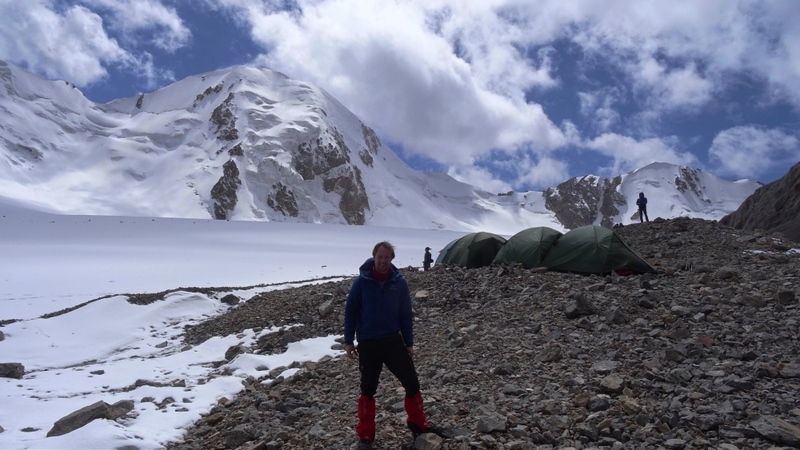 “We first started with some shorter hikes and technical training using crampons, ice axes and practising crevasse rescue before we went off on our first attempt,” says Syco. Keen to lay solid foundations for the summit bids ahead of them, they moved kit to a possible advance basecamp position further up the valley. 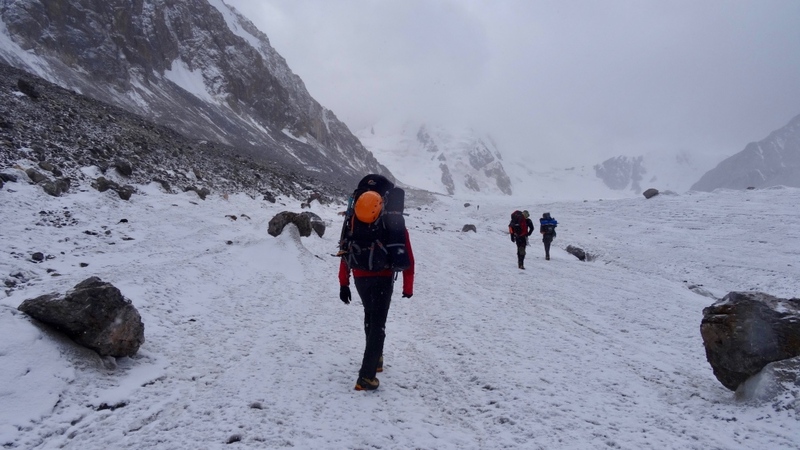 Acclimatised to about 4000m, they returning to basecamp for the night, cautious not to push beyond their ascent profile. 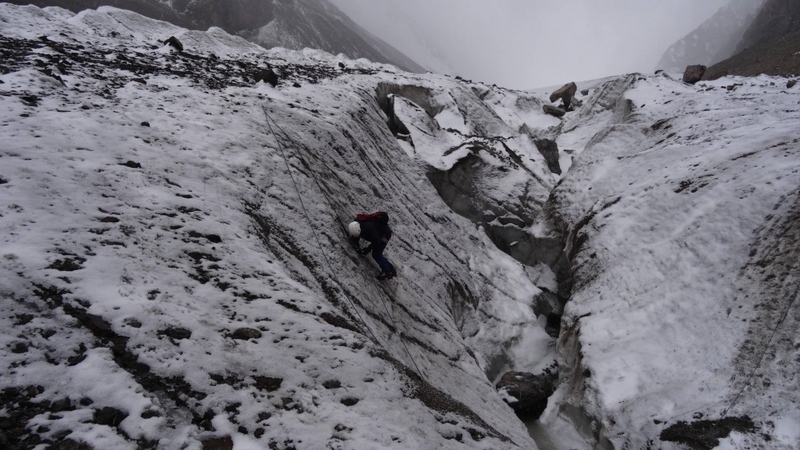 Developing crevasse rescue techniques, on a glacier at 4300m, the team further increased their acclimatisation, before overnighting at their advance basecamp at 3900m. “Besides the glacier, as soon as the sun went down it was freezing cold with temperatures far below zero. 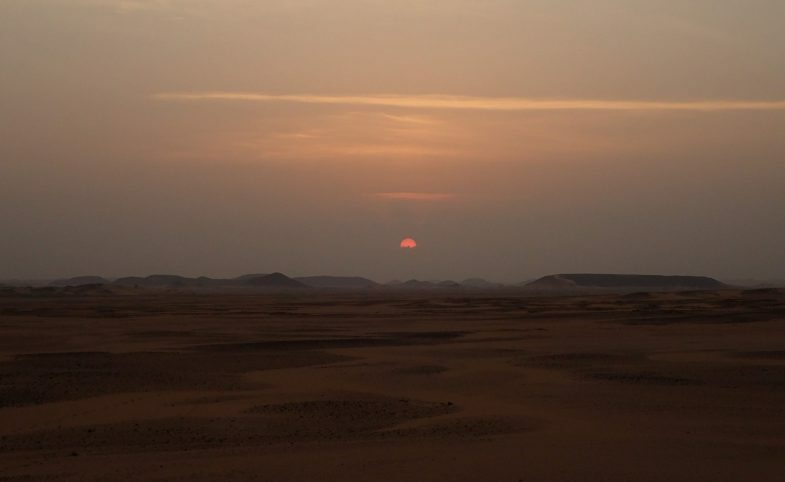 But with thermal clothes, an inner sleeping bag liner, good sleeping bag and bivvy bag, it was quite comfortable inside the tent,” Syco remembers. Unzipping the tents well before dawn, the third day in the mountains marked their first summit assault. A 4834m peak they believed to be unclimbed. 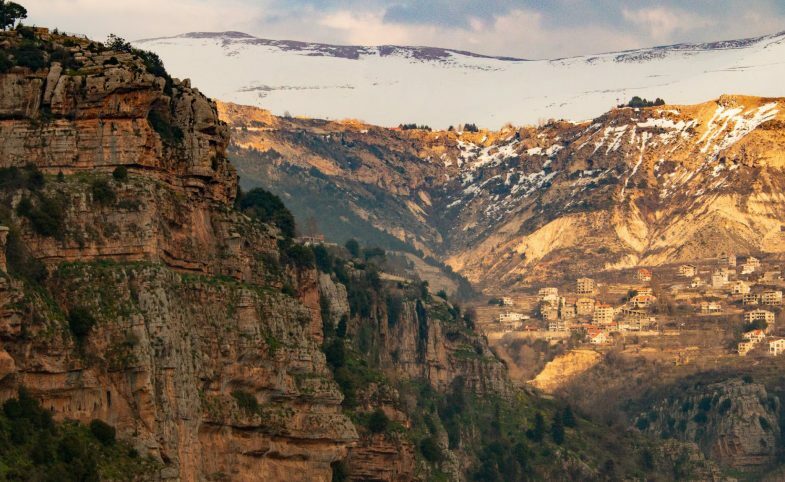 “As it was uncharted territory, we took particular care to evaluate the route and look for possible risks, reading the mountain, searching for a possible way up,” says Syco. 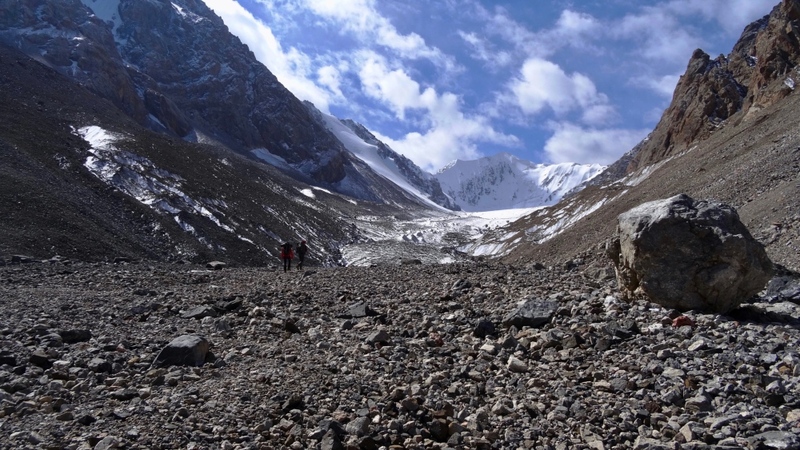 The route the team mapped would see them scale a steep scree slope to meet a water course which would guide them through a field of broken rocks towards the glacier, from where they’d be almost within spitting reach of the summit. 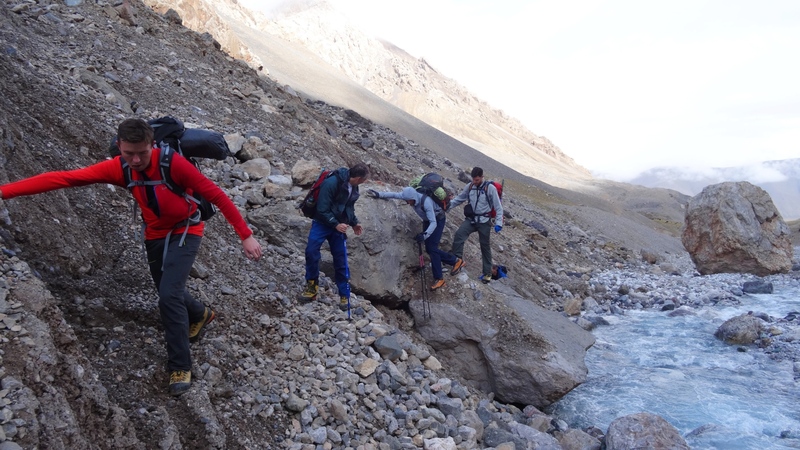 With some thirty hours of trekking and climbing now behind them, the team felt the strain of three days at altitude. But with stabilising snow conditions, day four indicated another attempt. While some of the team would take a rest day, the remaining members packed their bags for another pre-dawn start and a bid at same peak. 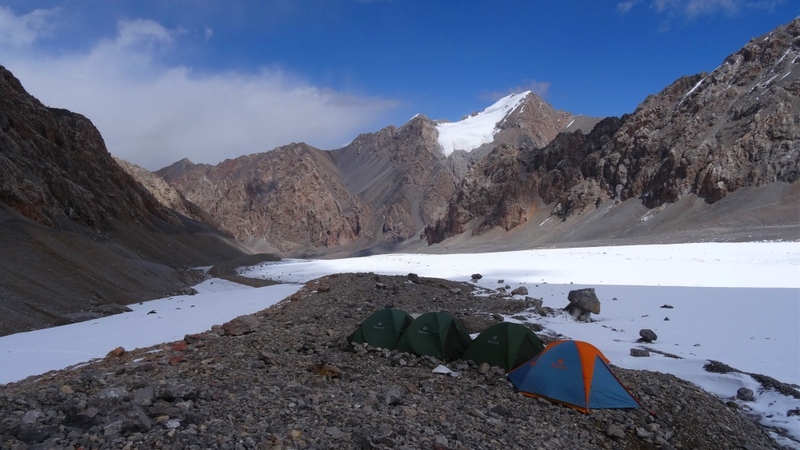 Unfortunately though, with a rockfall at 4600m, again, the team were forced to return to camp. 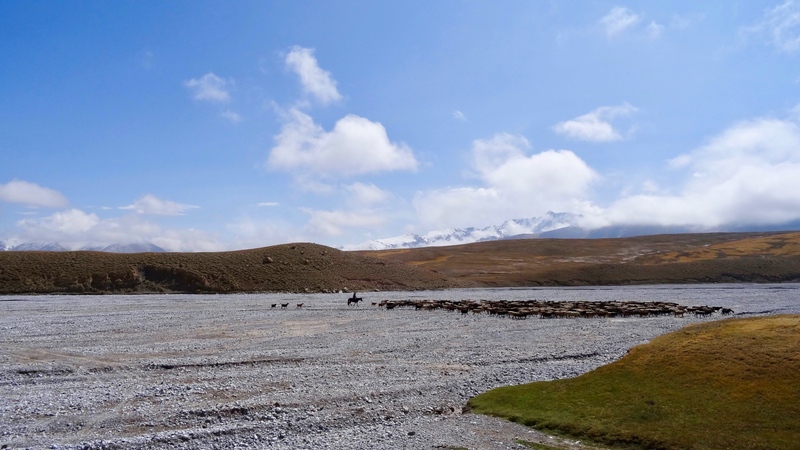 Turned back once again but not deterred, the team used the following day to move to a second advanced basecamp on an exposed moraine (patch of loose glacial debris). Using rock walls to fortify their new camp against the heavy snow and high winds, from here, they could identify new routes to new summits. A fresh start and a welcomed pulse of positivity for team morale. The dawn of day five and a team of four would make another summit bid, this time an alternate peak stood at 4784m. For those still with the energy reserves in the bank, another icy pre-dawn start saw them leave camp in pitch darkness. 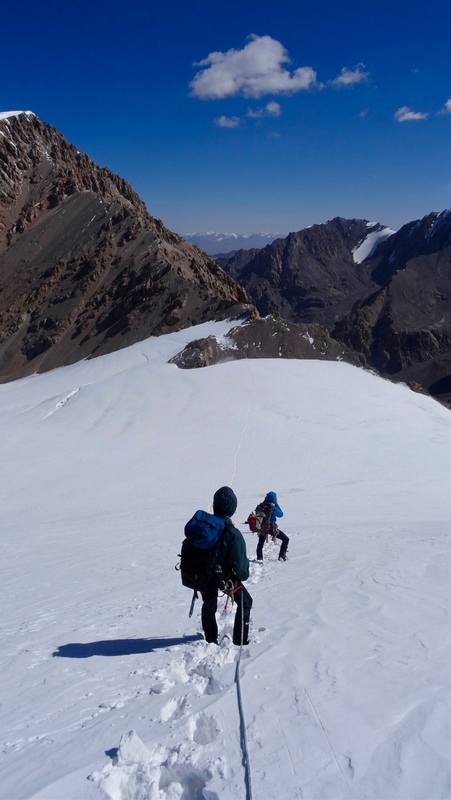 A steep glacier approach kicked off their ascent followed by two ice climbing pitches to deliver them at the summit ridge. Here, they’d follow a steep, unconsolidated snowpack to reach the summit. A summit never reached by anyone before them. They’d done it. 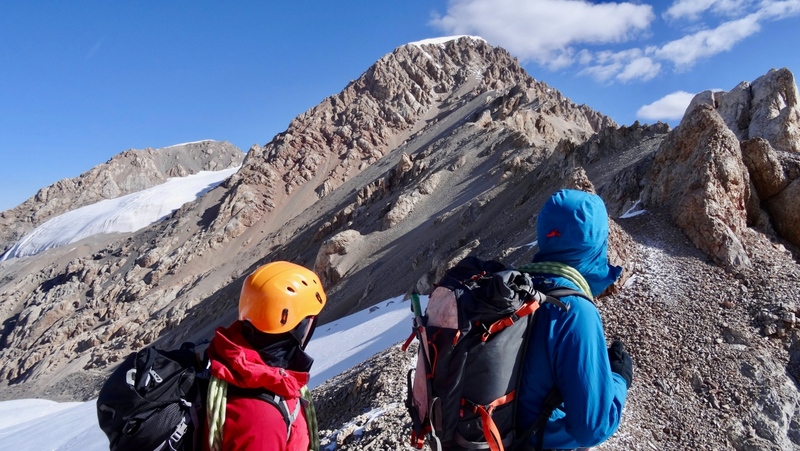 Anticipating their future success, the team had been sure to bring with them a bottle of scotch single malt whisky into the mountains to celebrate their first ascent. 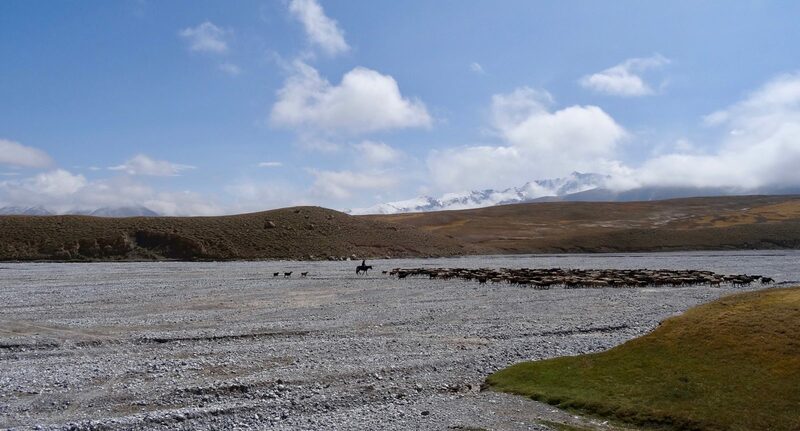 After evening of celebration, relief and perhaps a hint of envy from those who hadn’t mustered the energy to join the bid for the summit, the following day saw the team all regroup at the original basecamp.